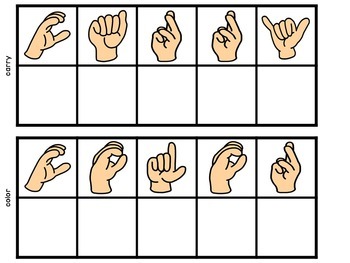 Sign language sight words centers - 335 sign language sight word activity cards that your students will LOVE! 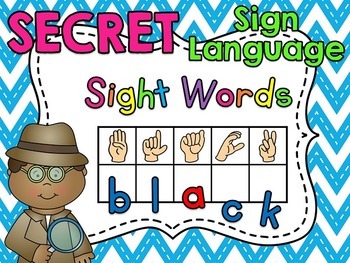 Students will take an activity card and figure out each sign language letter of the word to reveal the secret sight word. 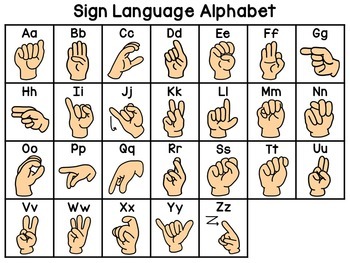 A sign language alphabet chart is included for students to reference. Get this in the Secret Sign Language BUNDLE to grab all of my secret sign language centers! There are 335 different sight words included so no matter what word list you use, the words you need are probably included! I have included a really easy to use table of contents that lists all of the words in ABC order and you simply click on the word you need and it will take you to that page. 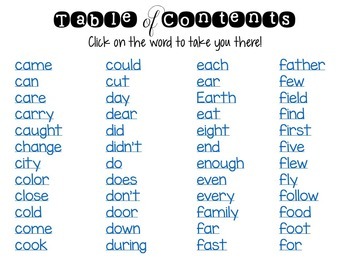 This will make it SO easy for planning each week - just click on the sight words you need that week, print, and go! that works on sight words and beginning sounds! & more for other sounds! They're all in the bundle I mentioned above!